In this one day workshop we will be sculpting with polymer clay on metal tins to create whimsical capsules for keeping small treasures safe. The clay will be baked in an oven, and then painted to give the sculptures colour. 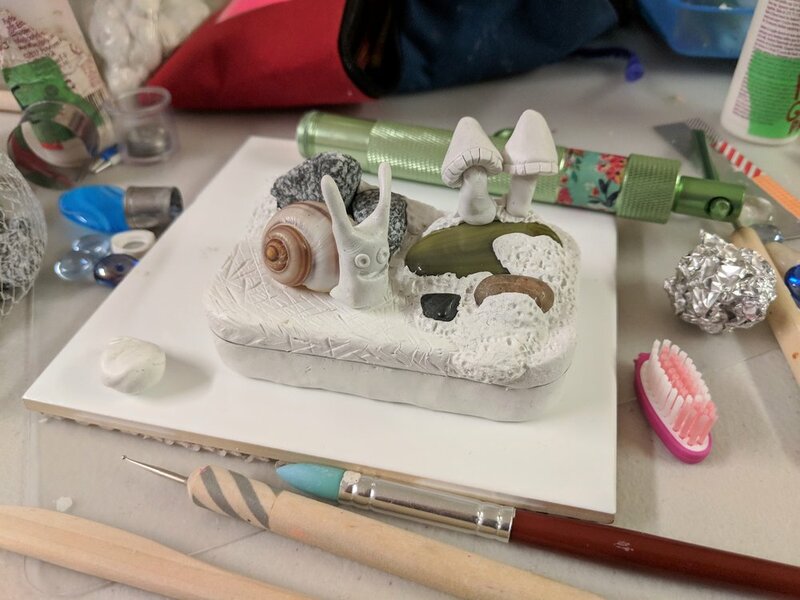 Additional found objects like glass cabochons, stones and shells can also be incorporated into the sculpture before baking. 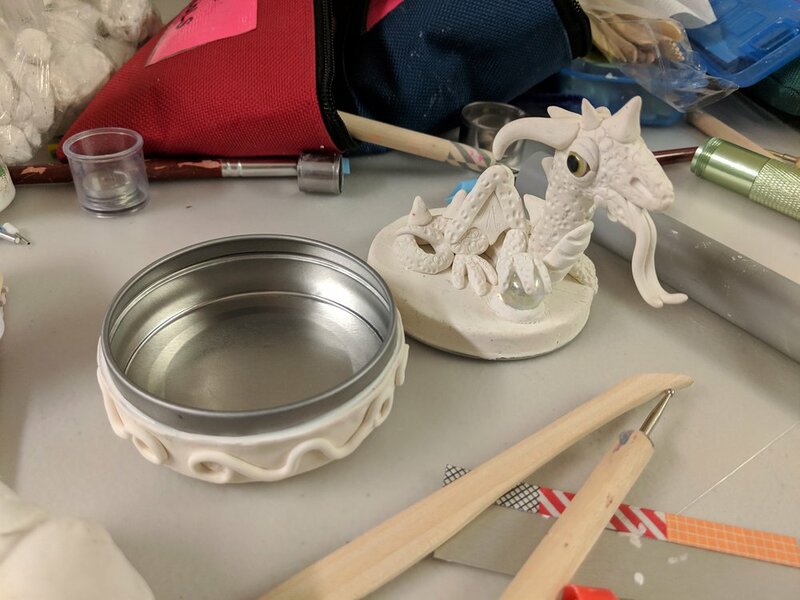 Sculpting with polymer clay is a very satisfying activity which allows for unlimited possibilities for personal expression! We have a large variety of specialized clay tools to explore and practice with. Students will have time to design two tin box sculptures during this workshop. Please bring clothes that can get stained. We will be using paint that does not wash out of clothing!